Day by day Discus Comment increasing their features. Only they give real-time discussion opportunity. Here is some features of Discuss comment system. How to Install / Add Disqus Comments on Blogger? Step 2: You're almost done. Now go to Setting page Admin section and provide your Blog Name, Choose your unique Disqus URL, then select your blog category. After that go to next page by clicking Next button. Step 3: After that, you will be go to install page. From this page you have to need chose your platform Blogger. You can also add this comment system on Wordpress, Tumblr, Squarespace, TypePade, Movabletype, Dupal and Joomla. 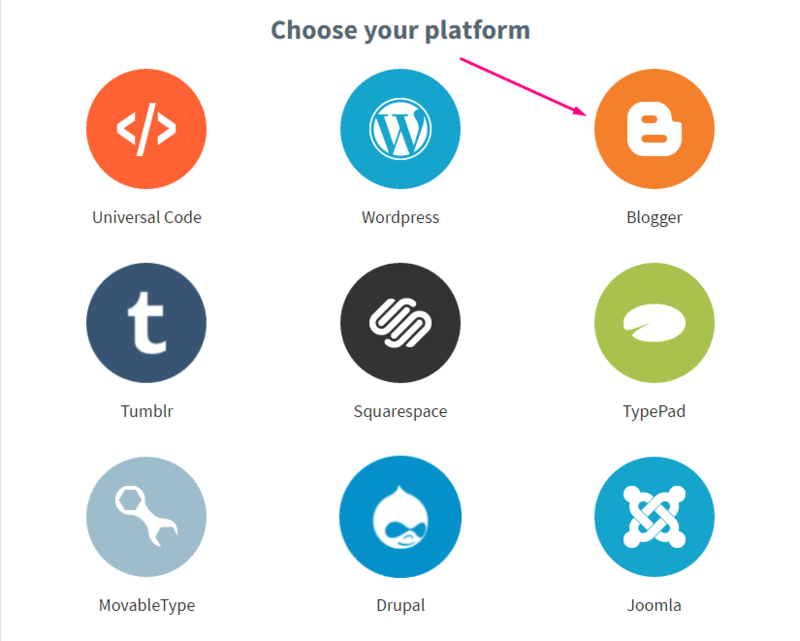 Whereas this tutorial about blogger, then we select platform Blogger. Step 4: After select your platform Blogger, then Install instructions page will be appear. 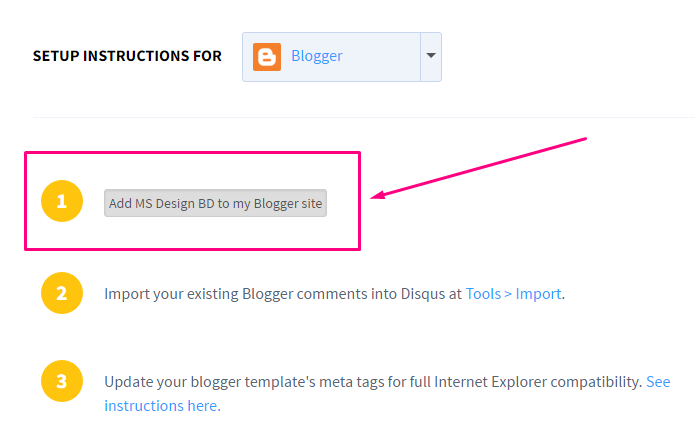 Now add Disqus comment widget on your blog by clicking Add MS Design BD to my Blogger site. 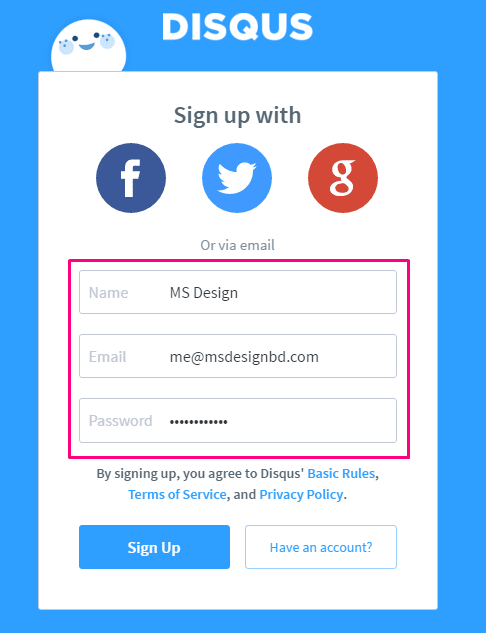 Here MS Design BD is my Disqus name. Then it will open a new window with the add a gadget menu. Select the blog that you want to add this comment system and click Add Widget. You’ll be redirected to Bloggers Layout page where you’ll see the new gadget (never remove this widget). Now you'r totally done. Refresh your blog and see the result. 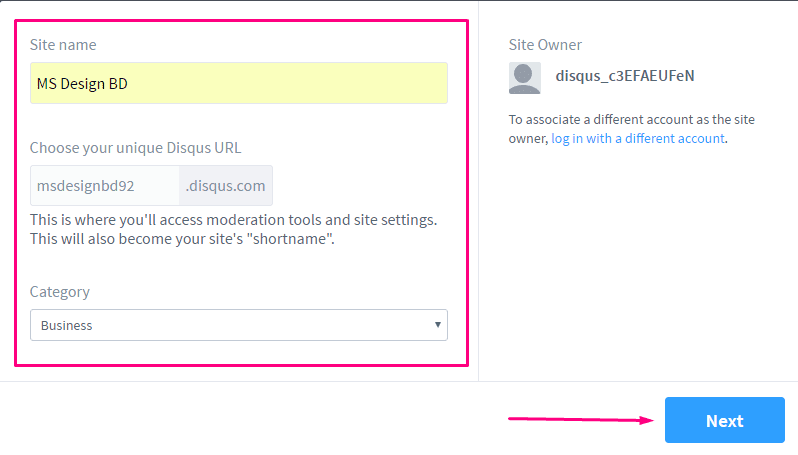 If you have a huge number of comment of your blog, then you can import these comment on Disqus. 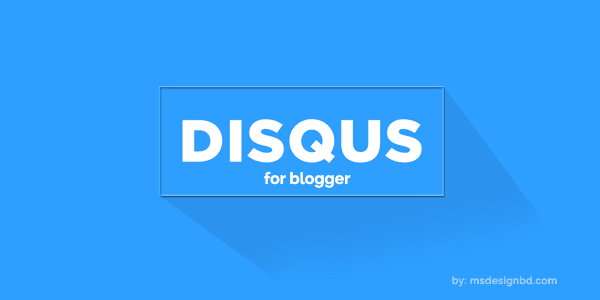 For import your existing Blogger comments into disqus go here. If you're using old Blogger Template, then you'll need to make this comment system browser compatible see instructions here. Sometimes this widget may not work for old template. If the widget does not work, see Blogger Installation Help for instructions on how to update your Blogger template to work with the widget. Thank you very much my friend..keep in touch from INDONESIA. hello bro, how i can add the stats widget? Sorry, don't understand about your comment.